As an industry leader in design-build projects, Nomodic has paved the way through our commitment to building without boundaries. Together, our team unlocks the potential of any site through innovative and creative solutions that ensure projects are executed safely and efficiently. 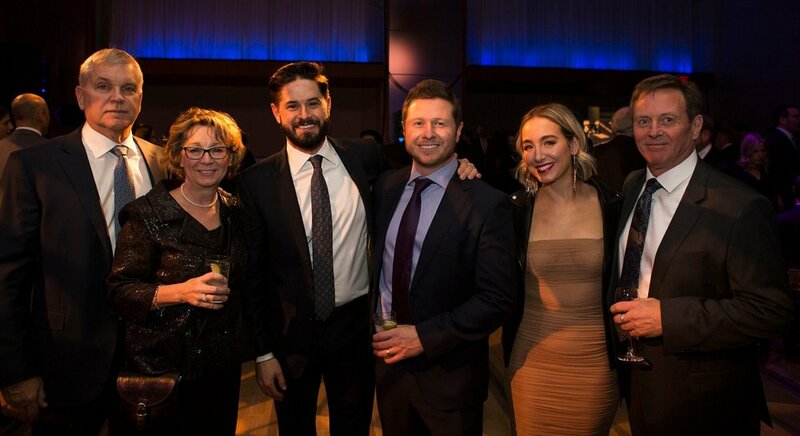 That’s why we’re proud of our leader, Kevin Read, on being recognized as one of Canada’s Top 40 Under 40, which culminated at a gala honoring all recipients in the heart of Toronto’s entertainment district on November 21, 2018. Kevin was accompanied by his wife and Nomodic CFO, Julia Read, as well as eight other friends, family members, and colleagues who have helped Kevin and Nomodic along the way. This award wouldn’t be possible without the incredible team at Nomodic. Whether focused on providing new solutions for multifamily residential building or working to solve affordable housing issues, our team comes in every day committed to collaboration and innovation, leaning on each other and working with our clients to find the best possible solution for every project. Awards are not what drives us. Instead, it is the opportunity to provide efficient and sustainable building solutions, with improved schedule and cost certainty, that allow us to help others and truly build without boundaries. We want to thank all those involved with Canada’s Top 40 Under 40 for recognizing Kevin, and thank everyone who is a part of Nomodic, including our clients and trade partners, for making it possible for us to leave things better. Older PostA common sense solution for Nanaimo's "Tent City"